Clipper 5.0 anomilies in a Norton Guides Database & Text File. Notes: Supercedes CL506. See Credits. ~ indicates change from last issue. which will 'crash' the system are so noted. a) COMPILER: Clipper 5.0 version 1.03 dtd 09/15/90. b) LINKER: RTLINK version 3.11 as supplied by lanquage vendor. No Incremental Linking was used. c) SYSTEM: IBM PS/2 Model 80 with 4Mb RAM, 222 Mb Fixed Disk. d) DOS Version: IBM DOS version 3.30.
i) TSR's: All TSR's are loaded above 9FFF using QEMM's LOADHI. solutions to the anomalies presented herein. Keep up the Good Work! This is NOT an official Nantucket(r) publication. ACOPY() Fails to copy under certain conditions. Clipper Version 1.03 dtd 09/15/90. parameter list; e.g., ACOPY(, , , , ). Unknown. is apparently defaulting to 0 in this incidence. ACOPY(, , , LEN(), ). ACOPY(, ) works satisfactorily for a complete copy. reference; i.e., the element number. which replaces each element with 2 times the original value. ALLTRIM() Returns runtime error if embedded in a macro. error occurs when the macro is expanded. 2) Create the above function and compile using the /N option. Include the resultant .OBJ file when linking. Note: You may delete the #translate line from MYNAME.CH. 3) Create the above function and compile using the /N option. Add the resultant .OBJ file to a .LIB file; e.g., EXTEND.LIB. See Support Bulletin 4 in the NANFORUM Library. Close .dbf and re-open for subsequent operations. Netware 386 3.1 LAN with MS-DOS 4.01 and 3.3 workstations. 35 files open. Problem not reproducible with same database and only 4 other files open. Index and .dbf are updated successfully. compatible with externals such as C and ASM. it can be used with C and ASM. ASORT() Array sort with NIL elements out of order. AA, BB, CC, NIL, NIL. BOF() Set to .F. on each database access. condition> might be something like IF field_data == "something".
? BOF() // => .T. 1) Assure that BOF() is evaluated before evaluating other database items. In the example above, change it to read IF BOF() .and. .
BASE50.PLL Pre-linking with this file may 'hang' the system. CALL()* Parameters are passed in reverse order. receive the parameters as c, b, a. Reverse order of parameter list or use extend system. 1. Linking CLD.LIB, as a LIB, does not work. 2. RESTART command does not work, gives SYNTAX ERROR. 3. PASS POINTS does not work as described in documentation. 4. LIST only lists Break Points not Watch Points and Trace Points. empty or EOF() causes the debugger to bomb. CLD testprog par1 par2 is executed, par2 is NIL. accessing the error class exported variable e.args. 3. Use 'PASSPOINT' instead of 'PP'. CLOSE-UP Problem with CLOSE-UP remote operation. Set CLOSE-UP keys to Advanced (requires version 3.0A). COL() Returns start of 'get' display vs end in S'87. vis-a-vis the end of the get display in Summer '87. line, the result is no .ppo file. options MUST be separated by a space (or the remainder will be ignored). If only a path is supplied, it must end with \. * .dbf file using DBEVAL and AEVAL. * use of AEVAL's undocumented, second variable. be lost..'; you will lose all the records in your database as well. a) Open a database and Index with DBU. b) (F5) Browse the database. press (F7) to perform a seek operation (select seek). problem. Thanks to a user for submitting test program, files, et al! DELIMITED | SDF COPY TO or APPEND FROM anomalies. append junk until all available disk space is exhausted. 1) COPY commands; using SDF, DELIMITED or DELIMITED WITH comma; work. try to append 'records' until out of disk space, causing a crash. the desired results. A hi-bit character will be used as the delimiter. DIRECTORY() Resultant array may == NIL. meet the or the is not valid. Annotate your documentation. Test result for NIL. ERRORSYS.PRG Not compatible with S'87. Clipper 5.0's ERRORSYS.PRG is incompatible with S'87 routines. A user has uploaded ERRSUB.ZIP to NANFORUM to resolve differences. EXTEND System Changes made to a variable may effect other variables. is changed in an ASM or C function, the other variables may be changed. a) Make a local copy of the variable and pass it to the function. b) Break the pointer relationship before passing the variable. 1. _parc() returns a pointer to the actual data. block of memory much as a C char * does. b) Another example can be found in EXTBUG.ZIP in the NANFORUM LIB 17. Uploaded by Francois Batte 70022,3424. FCREATE Norton Guide documentation error. FCREATE's attribute definition is incorrect in the Norton Guide. Use the documentation in the manual or refer to FILEIO.CH. FIELDWBLOCK() Does not work per 'Guide' description.
? EVAL(fieldwblock ("last_name", nTwo)) // works ok.
? EVAL(fieldwblock ("keyid", nOne)) // does not work. Work Around(s) as submitted by MIKE SCHINKEL 73567,3612.
? ( nOne )->( EVAL( FieldWBlock( "keyid", nOne ) ) ) // are same.
? ( nTwo )->( EVAL( FieldWBlock( "last_name", nTwo ) ) ) // are same. work area and the field does not exist, it returns NIL. specified, ERRORSYS says: "Variable does not exist: (fieldname)." cified, FIELDWBLOCK returns NIL. EVALuating FIELDWBLOCK bombs. 1) Unable to enter characters having an ASCII value > 127 in GET's. 2) Control W or Control End exits getlist. entries. Check for conflicts with any SET KEY's or SET FUNCTION's. GETSYS.PRG should be compiled and linked with your .PRG. will move to the last valid item of the getlist. 4) The following changes to GETSYS.PRG will correct the problem. The changes commence at line 242 of the original program. order so that line numbers don't change their reference line number. 183->182 means 'Ira' code showed line 183 but it should have been 182.
goes since two changes were made here. They've been combined. After additions (with new line numbers for loop and end). These four lines are correct. 247 passcount++ // add "
Author's note: I think the 'differences' may be due to Version 1.02 vs.
1.03 - hope everyone can decipher 'em. Thanks to Ira! Get:Delete() Syntax is not in documentation. GetNew() Error in syntax documentation. GetNew() Syntax is not correct in documentation. Get:VarGet() Get Class, missing manual documentation. READMODAL() function, defined in Getsys.prg. Get:VarPut() Get Class, missing manual documentation. IF() Use with caution with commands and statements. IF nX == 0 May return incorrect logic. 1) IF nX == 0.0 works ok.
2) IF 0 == nX or IF 0.0 == nX work ok.
3) IF | IFF( nX == 0, action1, action2 ) work ok.
4) IF ROUND( nX, 2 ) == ROUND( 0, 2 ) works ok.
Avoid the use of this feature until a fix is available. order. Indexing on a child relation will destroy the child's index. function will handle negative numbers and treat blanks as zeros. created by Summer '87 or Clipper 5.0.
seealso "MEMORY/VMM" "PACK" "SET RELATION"
See Support Bulletins 1 and 2 in NANFORUM LIB 16. LABEL FORM A runtime error occurs on second execution. Re-compile and link with programs requiring LABEL FORM. normal, unquoted string file specifcations will. MEMORY/VMM Numerous reported VMM crashes. Numerous problems have been reported re' memory related crashes. as the very first executed line of your program. See Support Bulletins 3 and 4 in NANFORUM LIB 16. MENU TO w/SETKEY Setkey() receives incorrect parameters. 2) The following alternative(s) have been suggested by a user. This batch file was not supplied with Clipper 5.0.
invoking either of these functions. and GET. This can be eliminated by SET SCOREBOARD OFF. f) Code block parameter visibility - documentation anomaly. experiencing cursor anomalies. Reference: NG Environment. re-directed from a text file; e.g. CLIPPROG < TEXTFILE. k) Internal Error Numbers are not documented. documentation, STATIC arrays are also dynamic. error: -- " should reference ++ instead. seealso "STD.CH" "DELIMITED | SDF" "SET COLOUR"
Numerics Problem with numbers > 2 ** 31. NG MODE Un-documented Norton(r) Guide Mode. memory when F10 or Escape is used to exit the program. parameter TEST.NG, it will load in the above described mode. NOCONSOLE Not documented as REPORT | LABEL FORM option. NOCONSOLE parameter to REPORT | LABEL FORM .. commands is missing. SET CONSOLE accordingly. See SET CONSOLE for re-programming solutions. OS() Does not return user's operating system. OS() returns the operating system programmed into EXAMPLP.PRG. Incorrect documentation or non-implementation of function. 1) Change documentation to reflect true action of this function. PACK PACK's with multiple open indices may fail. PICTURE Anomalies with the PICTURE clause. 1) PICTURE "Y" May return lowercase, if character type variable. case as entered by the user. SAY "abcdefgh" PICTURE "@R X_X_X_X_X_X_X_X"
@ row, col get cVar PICTURE "!!!!!" // Does not work. @ row, col get cVar PICTURE "!!!!!" // Will truncate cVar. #translate PICTURE "Y" => PICTURE "@! Y"
3) Exercise caution in programming. PROCNAME() Returns wrong value when in SET KEY procedure. 'where you are' for HELP routines, etc. 1) RANGE compiler error (C2010) when GET is an array element. returns a compiler error if the is an array element. RANGE | VALID may be used. READ command documentaion re' Navigation Keys is incorrect. NOTDEF is defined in GETSYS.PRG. REINDEX Does not re-create index file header. the resultant index file will also be invalid. erasing the existing index file prior to INDEX ON usage. REPORT FORM Anomalies with Report forms. 4 or less characters, unless the field width is set to five. show in the report, whether or not totals are requested. and link with your programs requiring this function. nMaxLines := 1 // Changed from 0 to 1. RESERVED WORDS Comments on reserved words. first four letters of a Clipper 5.0 or UDC command, you've got problems. name as a Clipper 5.0 function, its action will supersede Clipper's. RESTORE FROM ADDITIVE may corrupt Public/Private variables. Unknown. To be 'fixed' by Nantucket(r). RIGHT() Returns runtime error if embedded in a macro. the desired result, in certain cases. S50005.TXT Nantucket(r) - Things that you should know. SET COLOUR Incorrect syntax in STD.CH. TO PRINT | FILE, it appears to be ignored. 2) Use NOCONSOLE in Clipper 5.0 programs. SET RELATION Anomalies reported using this command. 1) Corruption of a child index when replacing non-key child fields. 2) Deleted records are not recognized as deleted in the child. Work Around(s) Note: Assumes Parent is selected. 1) Select Child; SET ORDER TO 0; Replace; SET ORDER TO 1; Select Parent. between deleted and non-deleted records. parameter greater than 15 does not increase the size of the buffer. __dbSkip( alias (nWorkArea) ) which is incorrect. SORT ON Produces incorrect result with negative numbers. file to be sorted contains negative numbers. the file and then use COPY. .PRG is compiled but its pseudo-functions are. over the STD.CH pseudo-functions hard coded in CLIPPER.EXE. TEXT/ENDTEXT Space after ENDTEXT causes compiler error. Remove isprint from TR.LIB using a library manager; e.g., LIB.EXE. Mr. Rettig will 'fix', subsequent to Nantucket's promised 'fix disk'. TYPE() Comments on Clipper 5.0 return values. 1) TYPE("LocalVar" or "StaticVar") returns 'U'. 1) TYPE("cVar") uses macro expansion to evaluate variables. USE READONLY Network reports file opened in R/W mode. To be supplied by Nantucket(r). \INCLUDE Comments on \CLIPPER5\INCLUDE\ Files. 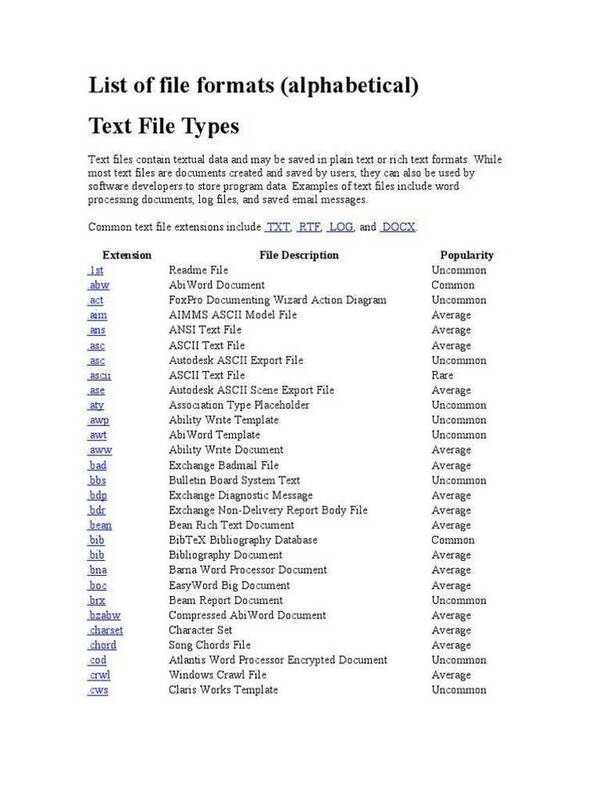 should be included in .PRG files which need them. A special case is the STD.CH header file, also in this sub-directory. CLIPPER LIB Automatically linked with Rtlink unless overridden. DBFNTX LIB Automatically linked with Rtlink unless overridden. EXTEND LIB Automatically linked with Rtlink unless overridden. \SOURCE\SYS Comments on \CLIPPER5\SOURCE\SYS\ Files. and linked to make changes.